For many years, our budget was a spreadsheet that forecasted our checking account balance into the future. I had columns for our checking ledger and each of our Capital One High-Interest Savings accounts (referral link). As we saved in those, I would put the transactions in the spreadsheet to keep track of the balances. We also used Mint for tracking spending & transactions. I had to find a way to track those individual transactions from discretionary categories if we really wanted to tackle our spending. Our spending wasn’t bad, we didn’t have any debt, but it wasn’t optimized. After that, I created my own printables and started a Binder for my budget, which many of you use and love. I’m so grateful that they’ve helped you! This method worked for us a while and everything was clicking, but soon, it wasn’t enough. I had the same problem of those discretionary categories getting away from what I’d budgeted. Then Christmas would come, and I’d “slightly” overspend the budget on groceries and gifts. Or School would start and we’d need a million dollars (doesn’t it feel like that?) for Back to School stuff. It was hard to keep track. I needed to find a way to hold ourselves accountable for every. last. penny. 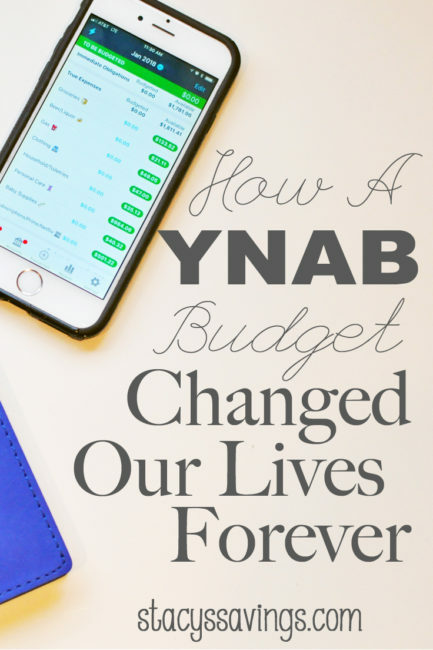 YNAB stands for You Need a Budget, and it has absolutely changed our lives. That is not an understatement. I read about YNAB on a forum, and it sounded like what I needed. I signed up for a free trial, read about the 4 steps, and set up my categories. Then, I assigned every dollar a job. After that, I recorded my transactions right when I made them using their iPhone App. 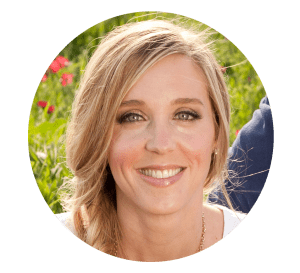 In the first 3 months, I had to do a couple of fresh starts (completely start over), and I had to tweak my categories & targets, but after that 3rd month was over, it clicked and was like clockwork. And we were saving money. Big money. Like 1/3 of our Take Home Pay Big Money. Which was good, because we have big expenses, especially since we’re a family of 5 people living on one income. A YNAB budget works because you document every single transaction either online or in the YNAB app. It only takes a few seconds to record your transactions on your phone as you make them. I usually enter them in my car before I leave the store parking lot. Then, the software will automatically subtract the amount you spent from your category budget, and then tell you what you have left. The next time you go to the store, you see exactly how much you have to spend in that category It helps you make better spending decisions. We went from trying to save every single cent for house projects to being able to go out to eat, take a vacation, and pre-pay Christmas. We were able to do all of this while still saving for house projects, taxes, insurance and all of that other stuff at the same savings rate we were saving at before YNAB. That’s thousands of dollars! It’s amazing! It is so freeing to be able to say YES to things instead of saying “no, we have to save money” all of the time. We can spend without guilt and still save lots of money! Do we always stick to the category budgets exactly as I’ve set them? No, and that’s ok. You can take from other categories that you haven’t spent and assign that to the category you overspent. It’s not a big deal, that’s life. YNAB’s philosophy of assigning every dollar a job on pay day, and then recording your spending keeps you accountable for all of those little transactions that add up to a big #oops when its time to pay the bill. It felt like we got a raise when we got used to it. Seriously. I even use it for the blog! There is one little thing that took me a while to get used to, and that is the cost. Currently, a one year YNAB subscription is $83.99. It took me a few months to wrap my brain around paying for something that was supposed to save me money, but it’s the best money I’ve ever spent. I split the cost into 24ths (we get paid twice a month or 24 paychecks per year), and put that amount in my Subscription Budget Category. That way the subscription cost is already budgeted for. Just using YNAB for a little over a year, we’ve saved thousands of dollars. $3.50 a paycheck is a small price to pay for financial freedom. 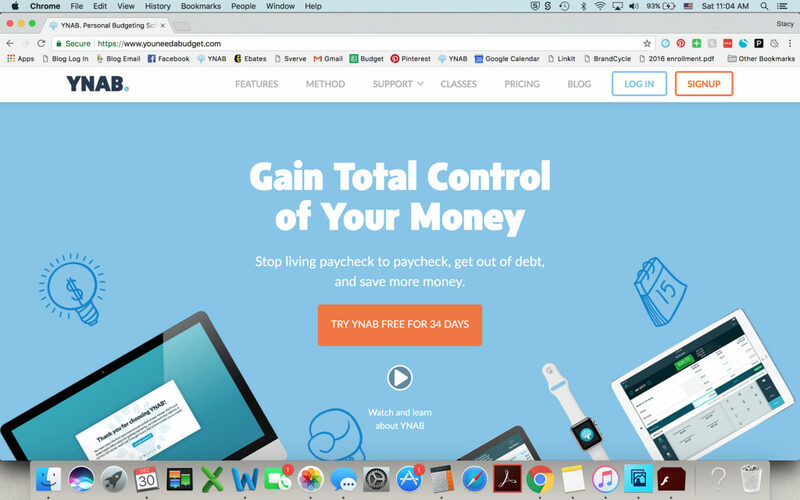 Plus, YNAB offers free courses, excellent customer service, and a 100% money back guarantee, no questions asked. 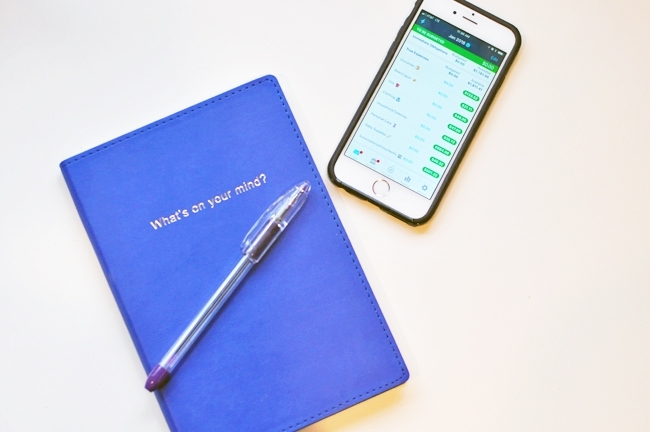 So that’s how we tackled our spending and stuck to a budget once and for all. With YNAB. It’s wonderful. My only regret is that I wish I’d found it years ago. 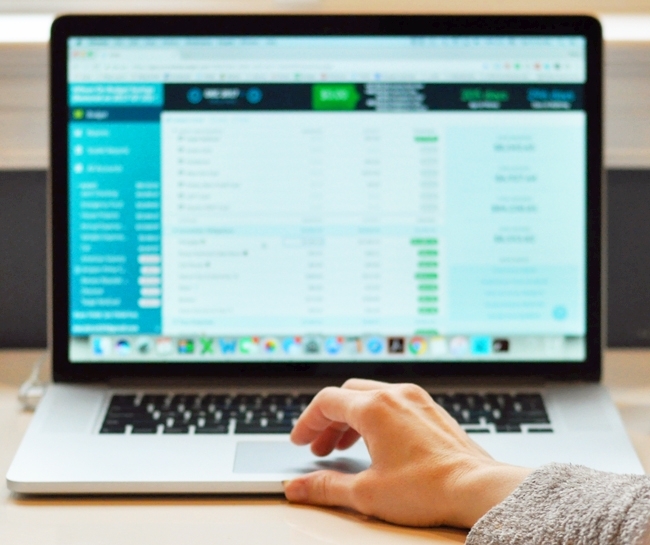 Want more information about YNAB? 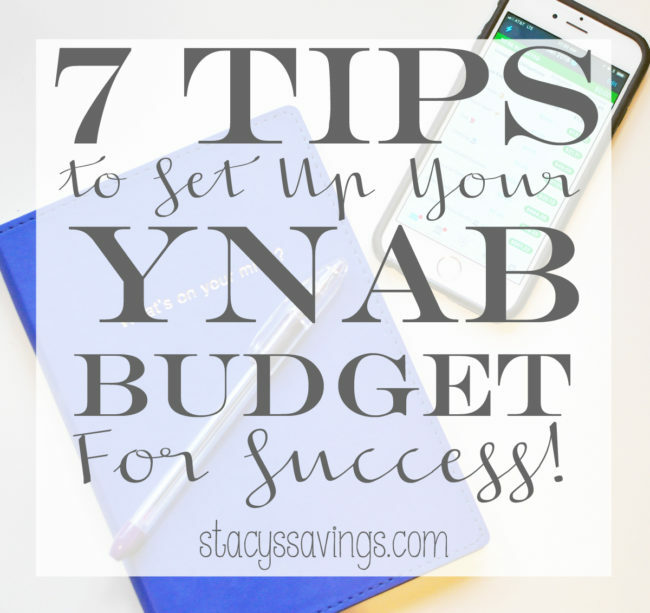 Here are my 7 Tips for Setting up your own YNAB Budget for Success, so that you too can let a budget give you the freedom to live your life the way you want to live it. 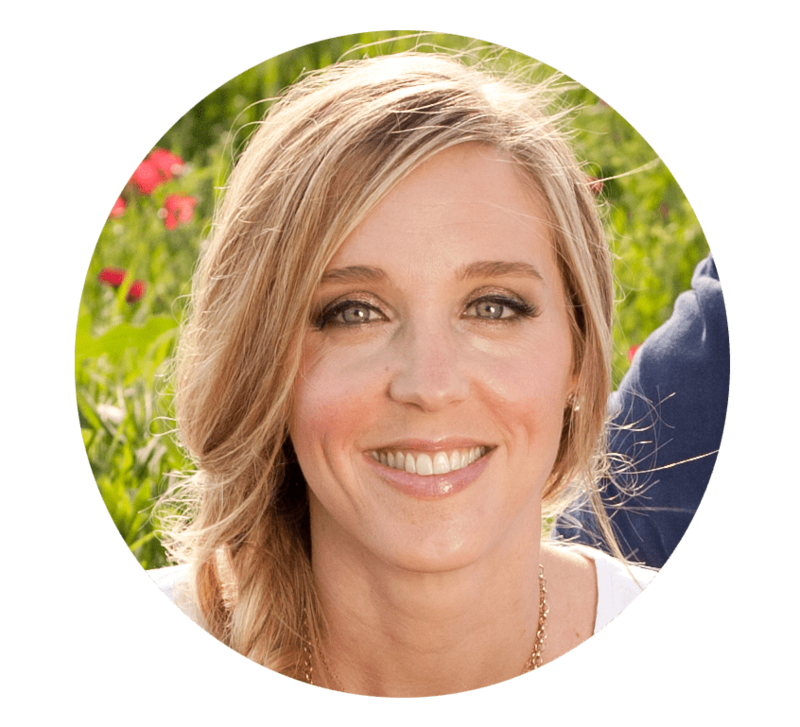 Do you want to finally tackle your spending and pay off debt or save for your future in 2018? Try YNAB free for a month & I get a free month too!